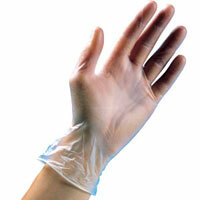 Quality Vinyl gloves at a fantastic price! 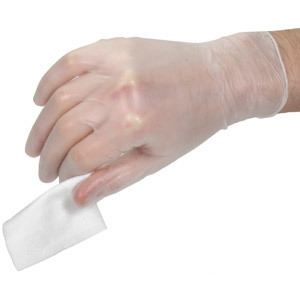 protects my hands for all messy jobs. 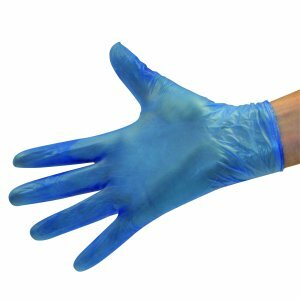 I use these gloves when I'm helping my elderly mother-in-law get in and out of the shower. They fit perfectly and do the job. Quality as I expected - to be used for household tasks such as clearing the attic. I buy these in bulk for a variety of uses around the home, including decorating as I always seem to get more paint on my hands than what I am painting. Don't like touching meat either, so perfect for cooking. I was using well before a famous TV female chef!! The gloves fitted comfortably and were easy to put on and remove. I used them to protect my hands whilst painting.